Vail Friends of the Dance wishes to thank our Eagle Valley community for their support of the debut performance of "Peter Pan, the Ballet." With assistance from Vilar Performing Arts Center Community Performance Fund, volunteer Board members, parents, silent auction donors and ad sales purchased by local businesses producing these shows is possible. 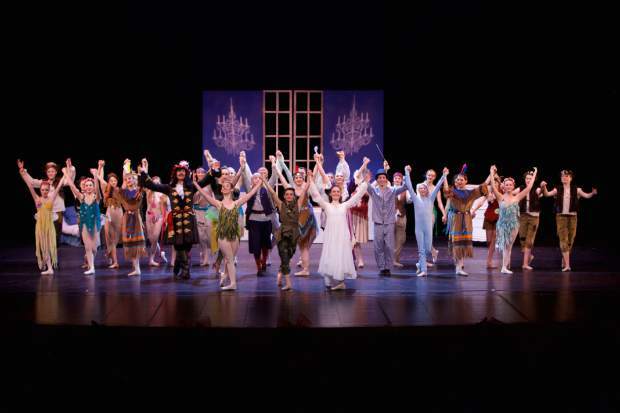 Through the vision and expertise of Artistic Director Anne Powell, her staff of teachers and choreographers, participation of elite dancers of Vail Youth Ballet Co. and students attending Vail Valley Dance Academy, this show delighted an audience of all ages. Vail Friends of the Dance is a nonprofit organization dedicated to inspire and support the youth in Eagle County ensuring that dance education will be an essential presence in our valley. Photo compliments of Brian Maloney.